Chicago pizza is the best in the world. There, we said it. A bold statement, sure and one guaranteed to raise an eyebrow or two from New York or Neapolitan-style diehards. But before you start composing an angry email to our editors, we implore you to give this Chicago pizza tour a shot and taste for yourself! 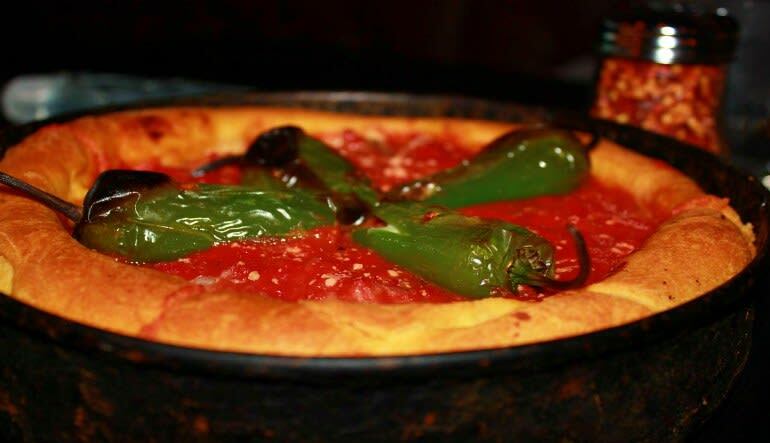 The guided Chicago bus tour takes you to four pizzerias and treats your palate to various styles (yes, there’s the monstrous deep dish but windy-city options go beyond this tasty staple). Get acquainted with the neighborhoods, go into the kitchens and learn what makes the difference between that crispy, Chicago-style butter crust and other chewier pizza varieties. 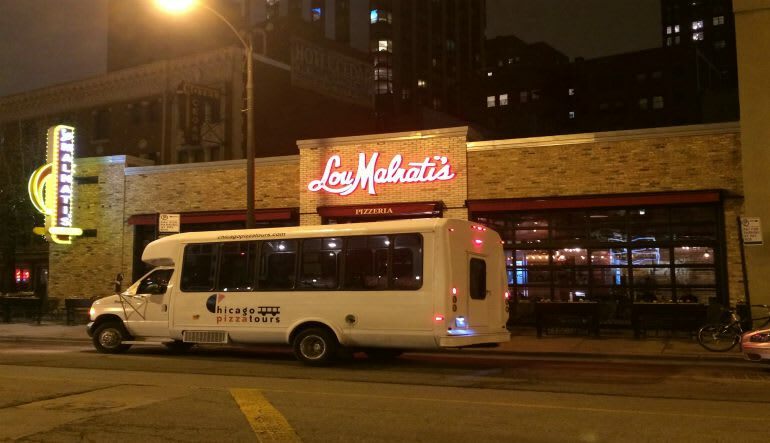 Hop on the bus for the guided Chicago pizza tour! Travel from neighborhood to neighborhood for three-plus hours. 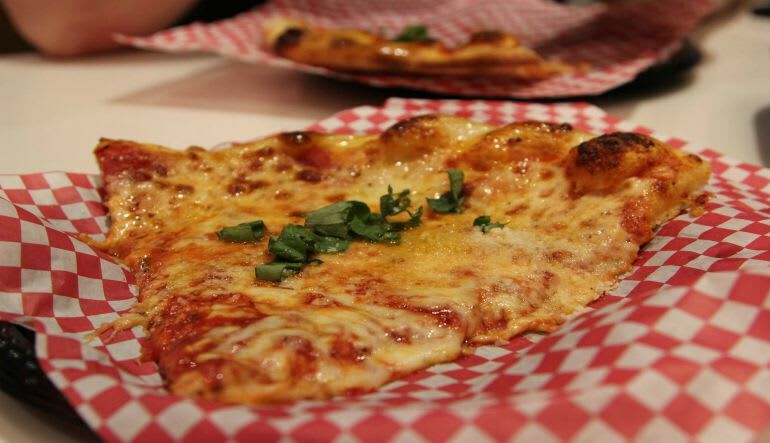 Sample the city’s numerous pizza styles from four pizzerias! Head into the kitchens to learn the science behind the pie! A big appetite is essential but so is some kitchen curiosity. On this guided Chicago pizza tour, you’ll discover what makes a pizza oven so essential, find out where to source the best toppings and take home a few yummy secrets. You KNEAD to book this excursion today! Danny was a great tour guide. Very informative, funny and had a wonderful time. Even though it rained, it was not a gloomy day in the least. Would love to take other tours with Danny as our guide. The time flew and everyone went away waddling instead of walking; I know I was in a food coma for at least 24 hours.